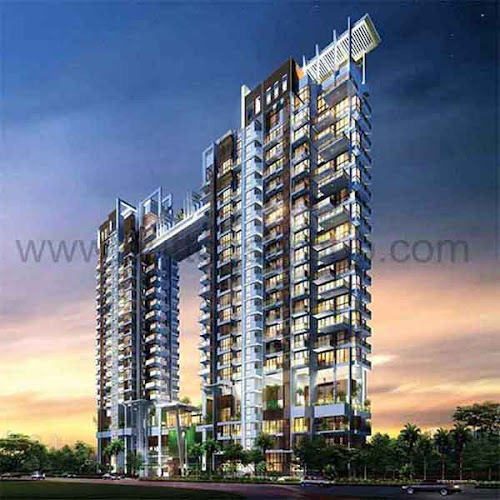 The Line @ Tanjong Rhu Singapore is a freehold Condominium located at Tanjong Rhu in District 15. This 20 storey residential development consists of 130 units of luxurious condominiums. A prestigious new residential development that leads you to luxurious living. With close proximity to the east Coast Park seafront, this high rise paradise offers quiet seclusion nestled in lush tropical greenery with convenient links to Singapore’s bustling city centre. Achieve the perfect line of balance between work and play with stunning landscaping that evoke visions of paradise. Enjoy the calming ripples of water at a multitude of unique water features and waterscapes positioned around the development. At the Line, clean, crisp lines induce vision of Zen living where elements conspire to provide one with tranquillity and peace of mind. Mingle with family and friends at the terrace deck and tantalise your taste buds with a delectable line of BBQ food. Relax and ease a busy day’s work with a leisure dip in the Jacuzzi. Exquisite facilities allow you to de-stress and revitalize yourself. At the Line, you will find only the best. Your busy lifestyle takes on a new holistic dimension that synergises one’s mind, body and soul. Soothing water feature are thoughtfully planned and designed to ensure a serene experience. Refresh and revitalise in The Line’s array of modern facilities such as the Sun Garden Jets, Garden Jacuzzis and the Golden Lounge. Your wellbeing is always at the heart of our vision. Located around the prestigious enclave of Tanjong Rhu and East Coast Park, The Line @ Tanjong Rhu has an address that commands only the best, and stands out as beacon of luxury and allure. It is a proof that exclusivity and accessibility need to be at odds, that enduring beauty is not necessarily a paradox. At The Line, you are in a position of super convenience. Just a short 10-minute drive away is the Suntec Convention Centre and Marina Bay Sands, Singapore’s leading shopping, dining and entertainment belt, and the epicentre of all that is hip and happening. Constantly reinventing itself, this retail therapy heaven promises to excite even the most seasoned of shoppers. It is well connected to MRT station like Dakota MRT station, Mountbatten MRT stations and Stadium MRT station. The Line is close proximity to major expressway such as East Coast Expressway, Pan Island Expressway, Kallang Expressway and Nicoll Highway. The Line is also in close proximity to prestigious schools like Dunman High School, Victoria School, St Patrick School, CHIJ Katong Convent, Chung Cheng High School (Main), Tanjong Katong Girls’ School and Tao Nan Primary School. Have a look at http://www.the-line-tanjong-rhu.com for more details or connect to the marketing team at 6100 0877 for inquiries. Today, there have been 11 visitors (190 hits) on this page!